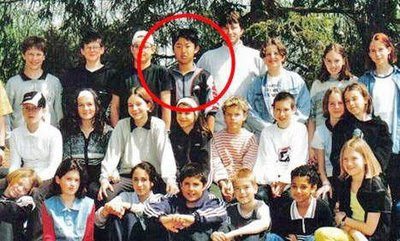 Educated in Swiss schools under fake names, Kim Jong Un and his siblings have a long, intriguing history in the Alps. NICE, France—The world knows North Korean supreme leader Kim Jong Un as a ruthless dictator prone to testing ballistic missiles while playing a game of nuclear chicken with President Donald Trump. He’s so cold-blooded he had his uncle and half-brother, among others, assassinated. Kim’s as unpredictable as he is deadly. Witness his announcement Tuesday that North Korea would participate in the Winter Olympics in Pyeongchang, South Korea. Experts said that Kim may be trying to do an end run around President Trump by reaching out to the South in the hope of breaking its ties with the U.S.
Not to his old friends in Switzerland where Kim was a student in the late 1990s. To them he’s still just the kid who had a good sense of humor, obsessed over basketball, especially the Chicago Bulls, and got along with everyone despite flashes of temper. WNU Editor: Two of my cousins had their kids educated in Swiss schools .... and they turned out very good. It was not Switzerland that turned him into a monster .... it was his father and Kim Jong-un himself who made him into what he is today.